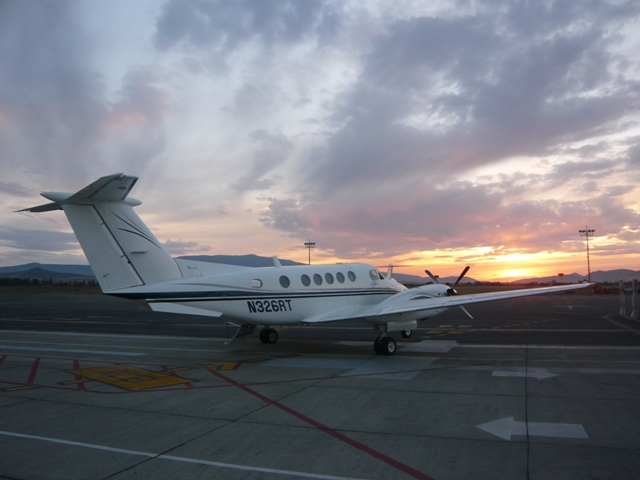 The Beechcraft Super King Air 200 is the most popular and successful business aircraft ever built. 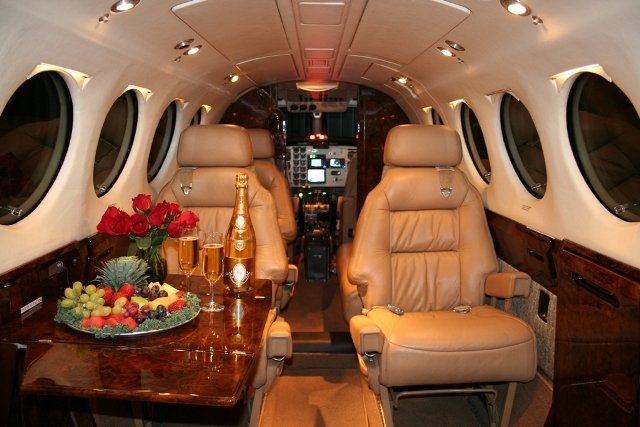 Once you fly in ours, you’ll understand why. It is a perfect balance of speed, economy, comfort, and what we call “ramp presence”. 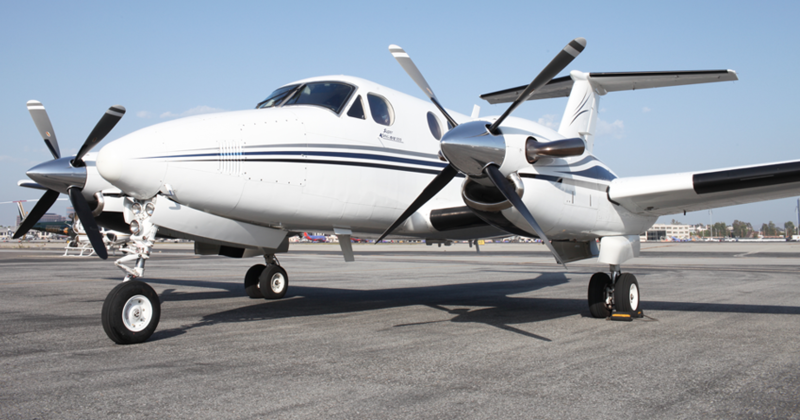 At over 300 mph and nearly 30,000 ft you probably won’t notice that the Super King Air 200 features the most reliable turbine engines in the world, the Pratt & Whitney PT-6. The luxurious “squared- oval” cabin provides plenty of headroom and legroom from up to 9 passengers in plush leather seating and the bonus of a well-stocked mini-bar. 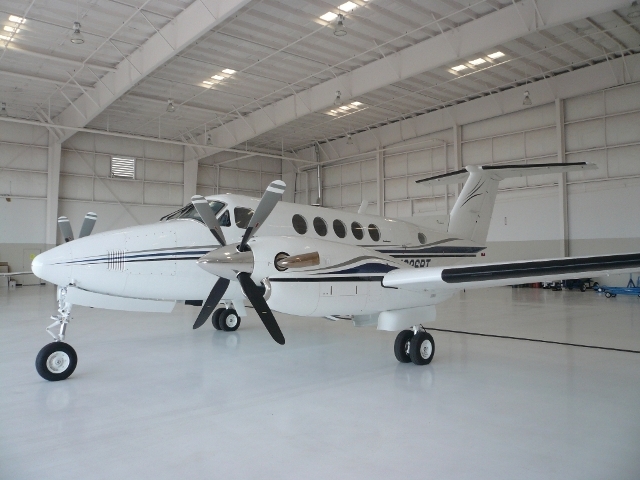 Our Super King Air 200 is one of the few available for charter that features the Raisbeck EPIC Platinum performance enhancement which dramatically improves safety and performance, while providing a very quiet cabin thanks to the Quiet Turbofan Propeller System. 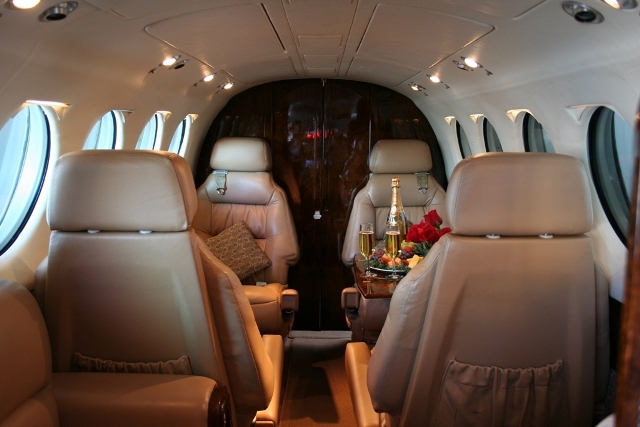 In addition our Super King Air 200 is equipped with an aft enclosed lavatory with flushing toilet for your comfort. Experience why everyone loves the 200 and its crew!